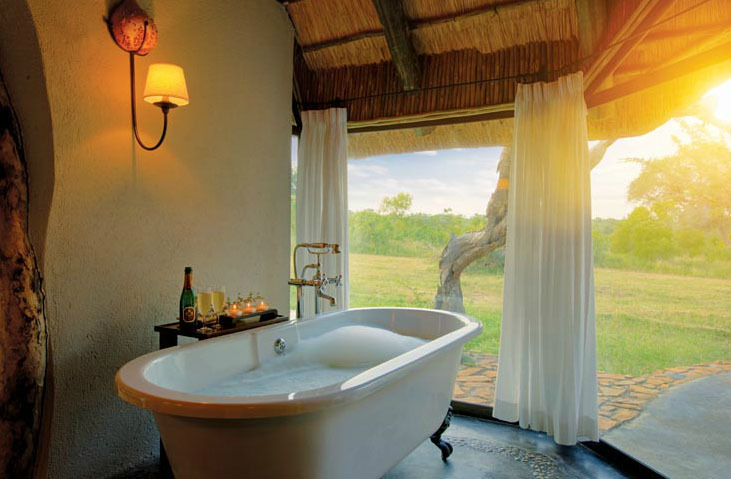 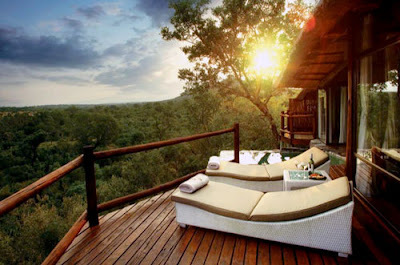 Leopard Hills Private Game Reserve traverses over 10,000 hectares in the western sector of the Sabi Sand Game Reserve, which forms part of the famous Kruger National Park, and offers some of the best Big 5 (elephant, lion, rhino, buffalo and leopard) game viewing in Southern Africa. This five star luxury lodge, with fine dining, outstanding cuisine and extensive wine cellar, is situated on a hilltop sanctuary overlooking a natural waterhole. 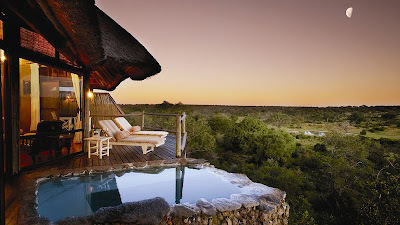 Each of the eight glass fronted air-conditioned suites with private plunge pools have spectacular views out into the bush. Experience the spectacular Cascade & Canyon Helicopter flight over the Blyde River Canyon or enjoy an array of bush spa treatments in the privacy of your suite or in the glass walled massage salon.